So this post is a bit different than what you are used to seeing from me. 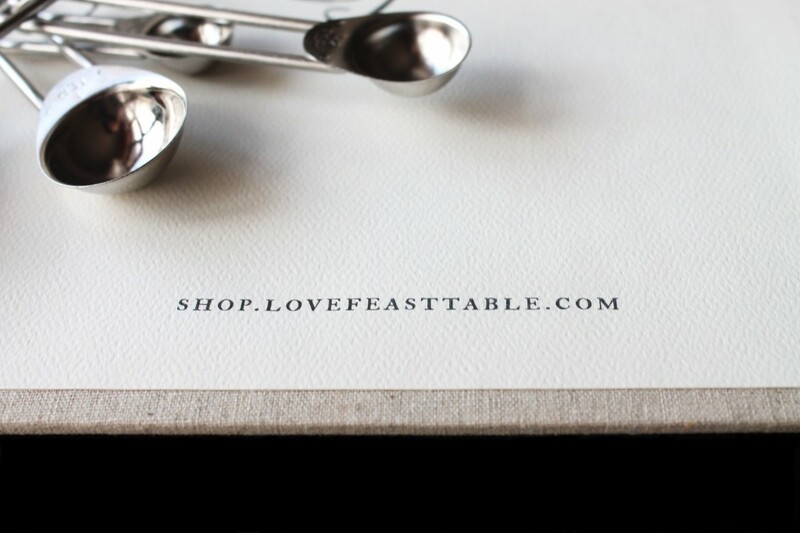 Today, I actually a have the honor of participating in a virtual cookie exchange over at LoveFeast Table. I’ll be sharing my Pecan Tassie recipe AND you will have the chance to win this fabulous Recipe Journal! 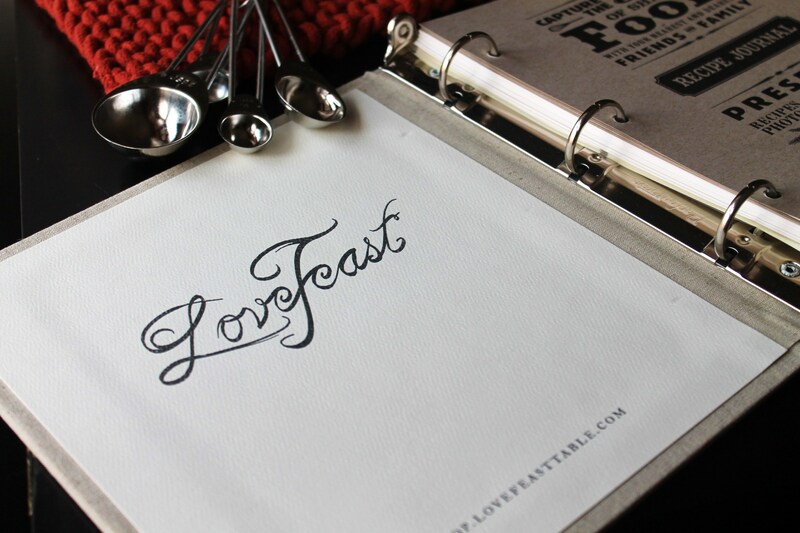 Also LoveFeast Table has a link up going on, where you can share your own favorite cookie recipes. So head on over for my Pecan Tassie Recipe and a chance to win this beautiful recipe journal! I’m not sure if this is where to post, but I like the natural linen! Beautiful blog post, Shell! Also your pecan tassies are scrumptious! I like the red silk journal cover. Your site is gorgeous! I can’t wait to try the pecan tassies. I love the Red Rose journal. The directions were very confusing! It said leave a comment on Amy’s post, but you are Michelle. I like the red journal too. 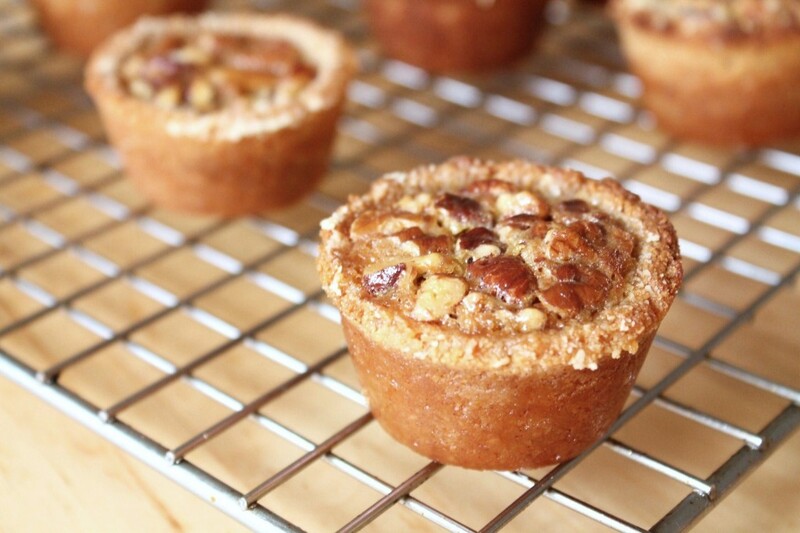 I am putting the pecan tassies on my list to make! Do you have a pecan pie recipe? Or just a pie crust? I love the linen journal. It is so elegant looking. I am excited to see your post for Pecan Tassies and look forward to trying them for the Christmas holiday. Thank you for all your help! I love your blog! and look forward to more great recipes! The pecan tassies look wonderful…can’t wait to try them! And the recipe journal is fabulous too…I personally like the pewter crosshash! I LOVE the Red Rose Journal!!!! Congratulations Ashley, your entry was randomly selected as our winner of the giveaway! Please check your email for further information. Michelle – you’re recipes are amazing! Thanks for sharing. And I love the pewter cookbook! I love the linen one! Beautiful! I can’t wait to try this recipe. I have pecans straight from my parents farm and they will be delicious with this! The pewter crosshatch journal is beautiful! PS, I like the red one :) Super cute stuff! Thank you for what looks like another soon to be family favorite recipe. 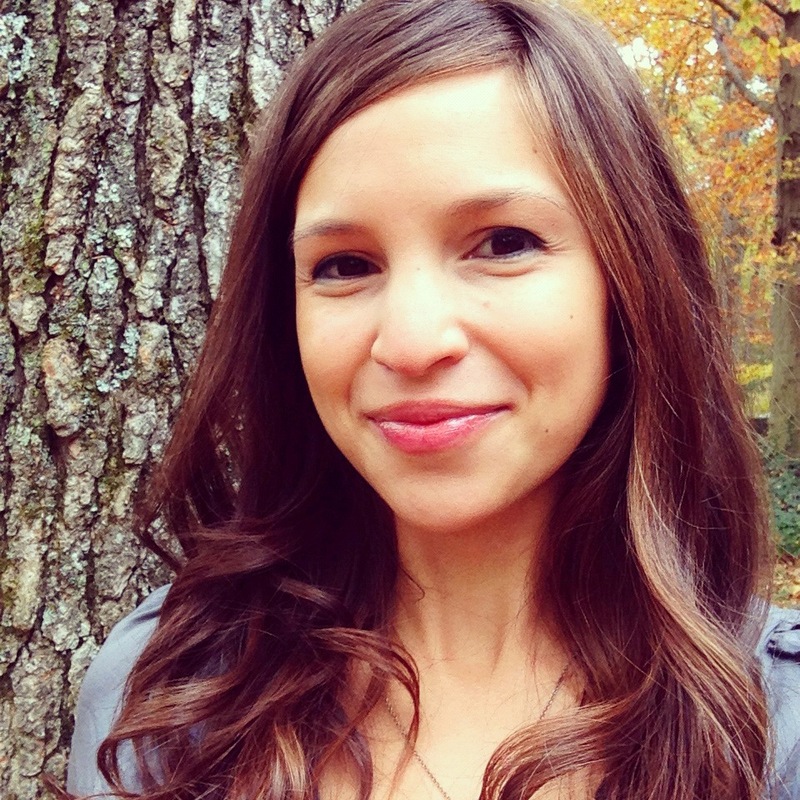 I’m so grateful for finding your blog after having gone gluten & grain free. I was so sad after thinking I would no longer be able to bake for my family. What a great giveaway contest. I love the natural linen. Thanks! I love following your posts and recipes. I like the pewter crosshatch cover. Love the natural linen! You have a beautiful family! Pecan Tassies look delicious! I would love the red rose journal. I love your recipes. Thank you for sharing. The pewter crosshatch is my favorite. I enjoy ALL of your recipes and the pewter crosshash journal! I really like the Pear…and I appreciate the opportunity…also love the recipe….making it soon. Red red red!!! Pecan tassies used to be one of my favs too…and I too look to impress the no-restrictions crowd…that is a real mark of success! Love the Recipe Michelle and the Pear Journel would be my choice! Keep those recipes coming! My choice would be red rose. :) Love your recipes!! What a beautiful book! I love the pear coloured cover! 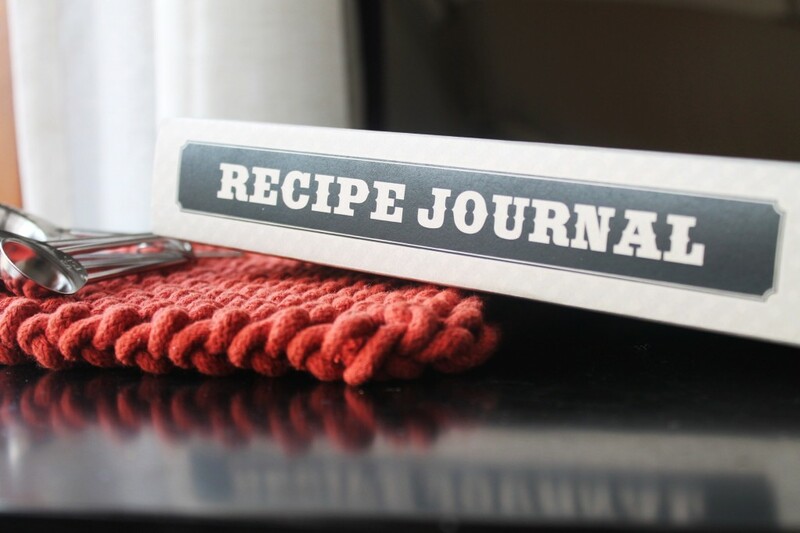 The recipe sounds delightful and the Pear journal would look gorgeous in my kitchen! Thank you. Happy Holidays to all! This is one of my go to sites. Thank you Michelle for all your hard work and all the delicious food. Please enter me for a chance to win the journal, I would love to replace my well used school binder. I love you recipes!!! I currently cook/bake for a gluten free family and use your recipes all the time-thank you! For the cover of the Recipe Journal, I think the Marshmallow Caramel Rice Krispies Puffs picture is the best! It is has the best design composition and the most yummy looking treats! I would choose the linen, but would consider any of the others as they all be very unique and stand out on my cookbook shelf. I like red rose! Thanks for the giveaway! Contest entry is officially closed and the winner has been chosen using random.org. And the winner is Ashley Spraker! Congratulations! I made these and took to a Christmas party. They were a HUGE hit (and gone in no time!). These are most definitely a keeper in my Christmas cookie lineup. Thank you, Michelle! Mmm… your recipes always look so delicious! I love the pewter crosshatch recipe journal – beautiful! I like the pewter-crosshatched cover the best with natural linen in close second. I love your recipes. My mother and I have been gluten free for…… Well forever and I am now home schooled for high school and I love cooking, baking, and really anything to do with the kitchen so having somewhere to put all of my favorite recipes would be amazing! I really hope your day is a good one filled with lots of culinary wonders.